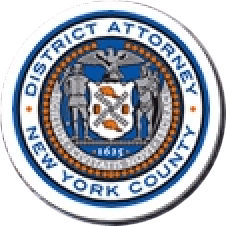 Manhattan District Attorney Cyrus R. Vance, Jr., today announced the sentencing of JEREMY SANCHEZ, 19, to 25 years-to-life in state prison for fatally shooting 19-year-old Kenneth Archbold in 2012. On August 17, 2015, a jury in New York State Supreme Court found the defendant guilty of all the charges in the indictment against him, including the top charge of Murder in the Second Degree, as well as Criminal Possession of a Weapon in the Second Degree. As proven at trial, at approximately 1:50 a.m. on July 15, 2012, Kenneth Archbold and a friend were riding bicycles along Lenox Avenue when they encountered SANCHEZ at the corner of West 134th Street. After running after the victim’s friend, who biked away, the defendant took out a .38-caliber pistol and fatally shot the victim three times in the chest. SANCHEZ fled, leaving the victim unconscious and bleeding in the street, approximately one block away from Harlem Hospital. The victim died from his injuries shortly thereafter. Assistant District Attorneys Stuart Silberg and Marcy Chelmow handled the prosecution of the case, under the supervision of Assistant District Attorney Gene Porcaro, Chief of Trial Bureau 30, and Executive Assistant District Attorney John Irwin, Chief of the Trial Division.